A perfect place to enjoy the relaxed pace of life of West Normandy - the food, the drink, and the welcoming people. 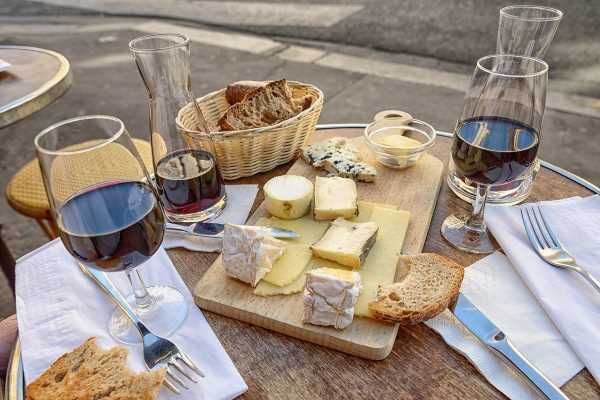 Normandy is famous for it's cider and Calvados, wonderfully fresh seafood (this is where the best restaurants in Paris source their mussels, oysters and lobsters), and dairy products - including some of the best cheeses in France such as Camembert, Pont l'Eveque and Livarot. Gare de l'Est is an original 500 year old property (the oldest in the village) completely renovated and finished to a high standard. 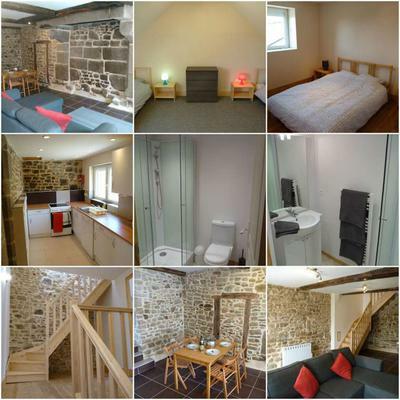 A two bedroom property (one twin, one double) which sleeps 4-6 people (with a comfortable sofa bed). With a well equipped kitchen with a full-sized oven, fridge freezer, dishwasher and microwave. TV with French freeview. Shower cabin. 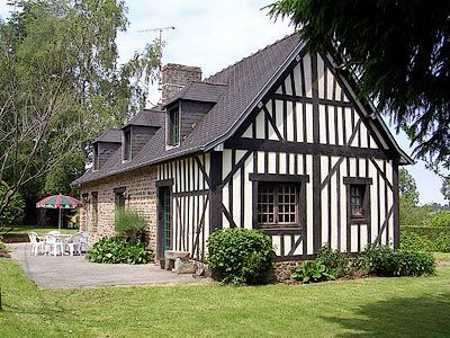 The village of Lolif is set in rolling lush green Normandy countryside. The house has far reaching views of the surrounds. The village itself is famous locally for it's views of the whole of the bay of Mont St Michel, including the neighbouring island of Tombelaine and the opposite coast of Brittany. The incredible spectacle of the Abbey of Mont St Michel dominates the whole area and the world heritage site is only 30 minutes away. The view really needs to be seen to be fully appreciated. It is not for nothing that the bay of Mont St Michel is known as the world's most beautiful bay. The village also has an excellent playground suitable for children of all ages. The extensive beaches of Western Normandy are all within easy reach - the nearest being only 10 minutes away. The stunning expanse of Carolles plage and Jullouville only 15 minutes away. Also easily reachable is the pretty seaside town of St Pair sur Mer, the historically-rich Avranches, and the fascinating port town of Granville. The popular Brittany port town of St Malo and the oyster capital of Cancale are both less than an hour away. While the D-day beaches and Bayeux, home of the world famous tapestry, are just over an hour away. The property is easily reached from the channel port of Calais (4 hours), and is only 1.5 hours from Cherbourg, and just over an hour from Caen-Ouistreham.